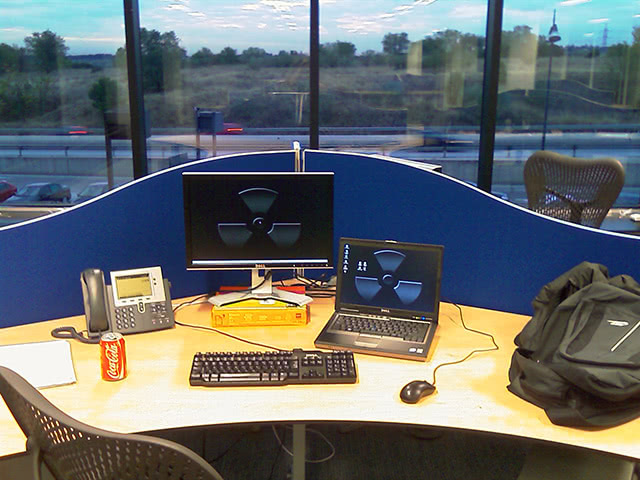 After moving to our final destination, I've got my workplace properly setup. As I said before, dual monitor development is great. And I even have windows!